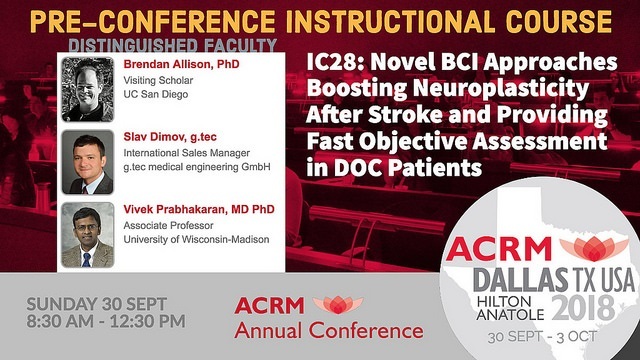 The mission of the ACRM Neuroplasticity Networking Group is to synthesize and disseminate information about neuroplasticity for members of the ACRM community and to create a forum within the ACRM community for an ongoing dialogue on emerging implications of greater understanding of neuroplasticity on best practice within neurorehabilitation. 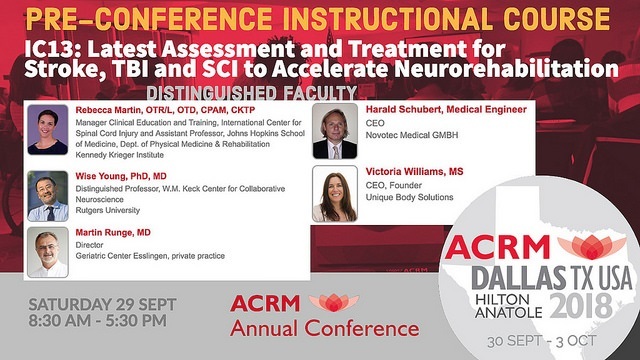 We seek to align the aims of the Neuroplasticity Group with the seven goals set in the 2009 NIH Blueprint for Neuroscience and to engage ACRM members in rising to the challenges set within the framework of the NIH Brain 2025 Initiative. *Note – Chair and Chair-Elect positions will function as Co-Chairs and will share the role equally. Chair and Chair-Elect titles simply designate seniority in the group. 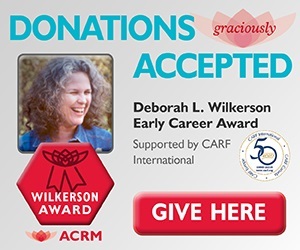 The deadline for nominations is 18 April 2019. Self-nominations are welcome and encouraged, as are peer nominations of NNG members. CLICK HERE for full details regarding qualification criteria, responsibilities of each position, and the nominations procedure. 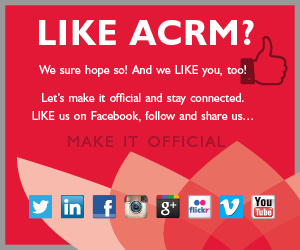 New officers will assume their positions at the ACRM 2019 Annual Conference and serve through the Annual Conference in 2021. Thank you for your help in choosing the leadership of our community group! 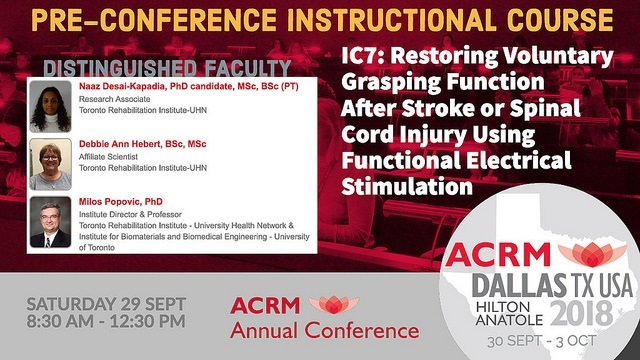 The ACRM Neuroplasticity Networking Group will meet at the ACRM Spring Meeting in Chicago and invites your participation. Whether you’re already a networking group member or just exploring new opportunities, we hope you’ll join us. 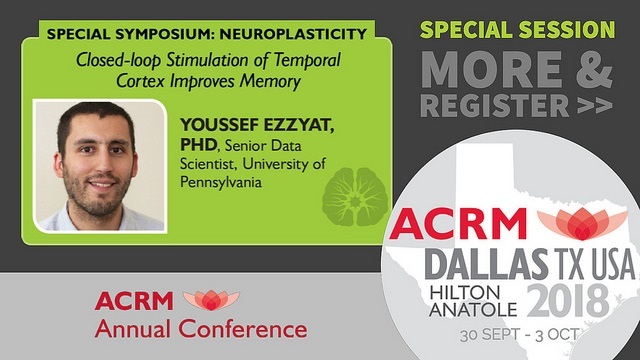 The ACRM Neuroplasticity Networking Group is please to announce an exciting new quarterly webinar series focused on methods for measuring neuroplasticity. Check out our archive of past webinars and bookmark this page to watch for upcoming speakers and topics. If you have a method you would like to share in a future webinar, please contact Lynne Gauthier and cc Theresa Pape and Amy Herrold. When it’s time, CLICK HERE to join this webinar from your computer or tablet. 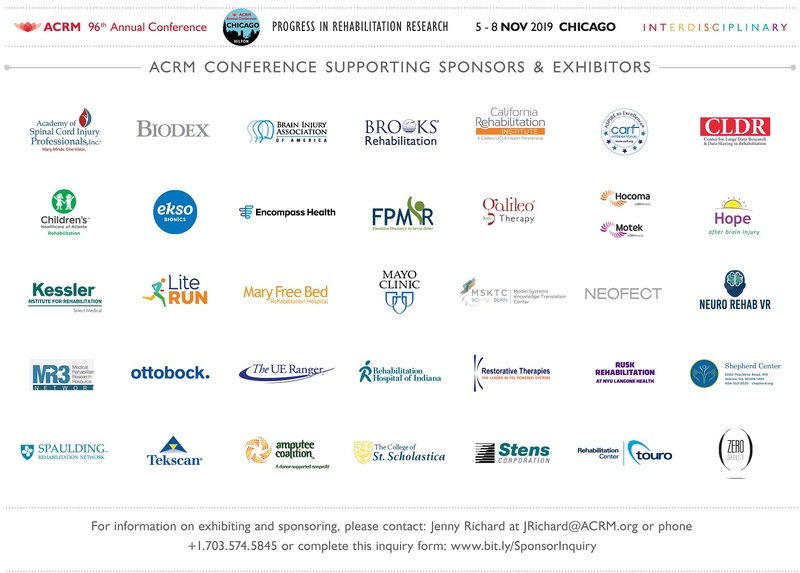 Two face-to-face meetings each year: Mid-Year Meeting (spring) and in conjunction with the ACRM Annual Conference (fall). Please contact a co-chair to learn more and get involved today! Members of the Neuroplasticity Networking Group are seeking co-authors interested in collaborating on a manuscript discussing brain stimulation. 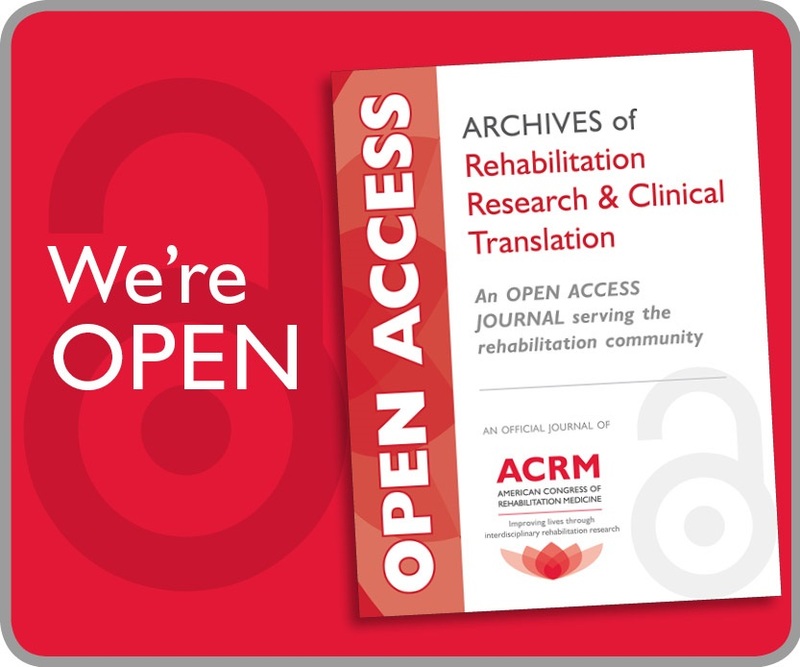 The manuscript will focus on the use of non-invasive brain stimulation for measurement and intervention in the post-stroke lower extremity. Interested individuals should email Steve Page. Neuroplasticity refers to the ability of the nervous system to respond to new information and/or intrinsic or extrinsic stimuli by reorganizing and/or adapting its structure, function and connections. This dynamic reorganization and adaptation of the nervous system, seen during human development and in learning and memory, is increasingly recognized to play a role in responses of the nervous system to acute (ex. 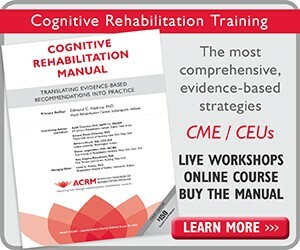 stroke, traumatic brain and spinal cord injury), chronic and progressive neurological disease (ex. developmental disorders, multiple sclerosis, Parkinson’s disease). Adaptive and maladaptive forms of neuroplasticity have been observed following insults to the nervous system and there is a substantive need to advance our understanding of both, so we can enable and facilitate adaptive neuroplasticity to optimize recovery of neurological function. The need can be addressed, in part by bridging the gap between bench and bedside, and bringing consideration of neuroplasticity mechanisms to the treatment plans of brain and spinal cord injured patients. Spontaneous neuroplasticity following acquired nervous system injury (at the cellular, molecular, local and brain-wide neural circuit levels). Will include discussion of adaptive/positive and maladaptive/negative forms of neuroplasticity. Foster collaboration and multi-center efforts for translational research efforts relevant to neuroplasticity.